Though many travelers are only aware of the Inca Trail, there is a multitude of things to do in Peru to take advantage of the natural beauty and history of the country. 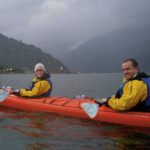 Working along with their Trip Specialist, the Gagners crafted an active traveler’s dream trip to Peru which, in addition to the full Inca Trail hike, included biking, whitewater rafting, and even paragliding over the city of Lima. While our classic Machu Picchu and Inca Trail trips are a great mix of culture and nature, the Gagner family was looking to experience all of the incredible outdoor activities that Peru has to offer. 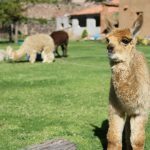 Upon arrival in Lima they headed straight for the Sacred Valley, experiencing the fascinating history of the Incans and the incredible culture and hospitality of the indigenous Amaru. Continuing to combine the best of both worlds, the Gagners mountain biked through the Sacred Valley and got to know the rural communities of the area. After their Sacred Valley mountain biking adventure they were off for the once-in-a-lifetime experience of the full Inca Trail hike. Shortly after hiking the Inca Trail and visiting Machu Picchu, they traveled to Cusco for a phenomenal taste of whitewater rafting in the Urubamba River. After their time in Cusco they headed East to the Peruvian Amazon where they spent a few days relaxing at the Reserva Amazonica Lodge. Lastly, they returned to Lima for the ultimate thrill: paragliding in the coastal hills. Take a look at their full, detailed Peru trip itinerary below. Do you want to travel to Peru or the the Amazon? We’re regional experts here at Knowmad Adventures and pride ourselves in building custom trips that are a perfect fit for our travelers. If you’re interested in crafting an adventure combing several things to do in Peru, but this particular itinerary doesn’t strike your fancy, don’t hesitate to reach out to our Trip Specialists at 612-394-2894 or travel@knowmadadventures.com to begin planning your trip today! You will fly from the USA to Lima arriving at 11:40 p.m. in the evening. Upon your evening arrival to Lima you will be met at the airport and assisted in crossing the street and checking in to the hotel adjacent the terminal. In the morning you will be met at your hotel lobby at 7:20 a.m. (please have bags ready and be waiting in the lobby) and assisted in checking in for your flight to Cusco. After your short morning flight to the former Incan capital of Cusco where Andean cultures come alive (don’t be surprised when the language doesn’t sound like Spanish – it is most likely the native Andean tongue Quechua), you’ll be met at the airport and taken for lunch. Departing for the Incan sights outside Cusco, you’ll visit the fortress Sacsayhuaman and its megalithic stone terraces; Kenko, with its carved stone surfaces and subterranean altars; the Puka Pukara fortress that protected the royal capital from attacks; and the water temple, Tambo Machay. Continuing through the mountains with inspired views to the snow-capped Andean peaks descend into the Sacred Valley of the Incas and check in to your accommodations. Take the afternoon to unwind, explore and acclimatize. After breakfast you’ll head by van along the Sacred Valley past the communities of Calca, Coya, Lamay and Pisac. From here the van goes completely off the map winding up a small dirt road, which takes you through remote Andean villages and arrives to the community of the Amaru people. This isolated community holds strongly to their ancient customs, and practices a largely subsistence lifestyle on the slopes of the Andes. The Amaru will proudly open their village to you where you will learn of their lifestyle and traditions. Among other things, take part in gathering plants used as natural dyes, learn of their medicinal and culinary properties, and see how their world-renowned textiles are brought woven and brought to life. Stay for lunch with the Amaru before visiting the Pisac ruins. Here, time dependent, you can hike along the high-mountain terraces and through the ruins before descending to Pisac – one of Peru’s largest and most vibrant markets – where you can bargain with Andean campesinos for hand- crafted wares. Return to your hotel for a relaxing evening. You’ll be picked up at your hotel in the late morning and driven to Huaran where you and your guide will begin biking. Crossing fields in a mixture of dirt road and singletrack you will have views of Andean crops, local farmers and Inca remains. After an hour and a half or so of riding near the Sacred Valley mountains you will arrive to Huayocari town where you will have a picnic lunch (or you can lunch at Tikapata School which we highly recommend, this school is a project serving underprivileged students from the valley). After lunch ride down the road and cross the Vilcanota River to Huayllabamba Village. Along fields you’ll have a bit of uphill through the Urquillo Creek following the river until Huicho where your van awaits. Return to your hotel for a relaxing evening. The Stammers will also be arriving to your hotel this evening. Begin the first day of your horseback adventure. After getting acquainted with your horse, enjoy the two lakes Piuray and Huaypo, linked by their mystic origin. Between the two lakes, you will pass through the Chinchero village to spend time with the local community. From here continue by horse to your rustic accommodations spending the night on a traditional ranch. Continue your ride towards the Wanyn viewpoint and take in the beautiful views of the Vilcanota mountain chain, filled with impressive snow topped peaks and plateaus of Maras and Chinchero. Later on, descend toward the archeological site Moray, known as the Inca’s agricultural experimentation center. Ride through beautiful landscapes where you can see salt wells, local agriculture and fishing activities. Enjoy the day at your leisure to relax and independently explore the hotel grounds and nearby towns in the Sacred Valley. Geared up and ready to go, today you begin the Inca Trail departing in the morning to Piscaycucho. After meeting the porters, hike through a little-visited section of the trail gently winding up the valley until arriving to the Incan ruins at Q’oriwayrachina – first discovered in 2001. Enjoy a picnic lunch surrounded by stones from more than 200 structures. Crossing the Urubamba River at Q’ente arrive to an isolated campsite amidst Inca terracing and nearby the archaeological sites of Wayna Q’ente and Llaqtapata which you can visit at your leisure in the evening. ***Inca Trail portion in shared small group service. Continuing up the Cusicacha Valley you reach the small indigenous community of Huallabamba. After glimpsing into the life and traditions of the high Andes, make your ascent to a large Pampa below the first pass to where your camp awaits pirched for breathtaking sunset and sunrise views of Mount Huaynay. Ascending this narrow hanging valley with views to the cloudforest, you’ll see the very rare Andean Quenua tree. Begin the most challenging day of hiking with a steady ascent until rewarded with big Andean views from the 13,692-ft Warmiwanusqa Pass. From here head down towards the Pacamayo River and up the other side of the valley to the Runkuraqay atop the second pass. Visit the Sayacmarca ruins after just entering the cloudforest. A beautiful location overlooking the Aobamba Valley, it affords a respite for a liesurely walk through the imposing structures often enshrouded by clouds. Continuing along the ridge you’ll see the majestic Mount Salkantay and the silhouette of Mount Pumasillo to the north on the horizon. Arriving to a small village on the edge of the clouds, continue just beyond to your isolated camp. Begin todays trek by passing the Phuyupatamarca ruins and winding sharply down into increasingly dense cloudforest to the well-restored ruins of Winay Wayna. Continue on until you cross through Intipunku – the Sun Gate – as the Incas did long ago for your first bird’s-eye view to the Lost City of Machu Picchu. Arriving to the Sun Gate in the evening helps avoid crowds and allows you to first see Machu Picchu when it is less visited. From here you will descend to Machu Picchu Pueblo to toast your feat of retracing the ancient Incan pathway to Machu Picchu and your upcoming full-day exploration of the site. Early risers can watch the sunrise from the Machu Picchu citadel or make the early morning climb of Huayna Picchu Mountain. This incredibly vast archeological site – lost to the world until well into the twentieth century – is perched amongst Andean peaks and lush cloud forest making it one of the most breathtaking sights in the world. You’ll have the opportunity to get a complete guided tour of the site as you begin to unlock the mystery of the Inca, and will also have plenty of time to explore the ruins on your own. Lunch at the adjacent Sanctuary Lodge means you’ll be able to enjoy the whole day without leaving awe-inspiring Machu Picchu. Return to Terrazas del Inca for the evening. Taking the train after breakfast, you’ll have time to roam through Ollantaytambo town taking in the ancient ruins towering above. Heading into the Sacred Valley you’ll stop to enjoy lunch at an authentic colonial-era hacienda before continuing on and arriving in the early evening to Cusco. Enjoy a half-day guided tour of Cusco, and then at your leisure independently explore one of South America’s most dynamic cities. Visit Incan architectural jewels such as Korikancha – the temple of the sun, shop at Andean markets, enjoy incredible Peruvian cuisine, and see the colonial cathedrals around the Plaza Central. You will be met in your hotel lobby at 9:30 a.m. and assisted in checking in for your flight to Puerto Maldonado in the Amazon. Upon arrival you will be met by a Reserva Amazonica representative and taken to their Butterfly House to go through check in procedures before going by riverboat to their lodge. Upon arrival to their lodge you will meet with a guide and chart out your excursions and time while there. Continue enjoying your stay at Reserva Amazonica. Reserva Amazonica will transfer you in accordance with your 4:35 p.m. onward flight to Lima. Upon your 6:15 p.m. arrival in Lima you’ll be met at the airport by a Knowmad Adventures representative and taken to your accommodations centrally located in the Miraflores neighborhood. Enjoy a relaxing morning at leisure before your afternoon adventure. We recommend having lunch in the hotel and using the hotel facilities from 12 p.m. to 4 p.m. Since paragliding relies so heavily on the wind and weather conditions, a Knowmad representative will contact you at the hotel between 12 p.m. and 4 p.m. to let you know the exact time of pickup (this representative will then arrive to your hotel 20 minutes after the call, so please be waiting for him in the lobby). Then you will be picked up at your hotel and taken for an exciting paragliding adventure in the coastal hills of Lima. After your adventure, you will be taken back to your hotel for your final evening in Peru. Enjoy the morning at your leisure independently exploring Lima before being picked up at your hotel at 2 p.m. and taken for a half-day guided city exploration before being taken to the airport in accordance with your onward 1:10 a.m. overnight flight home. Take a look at the Knowmad Adventures Facebook Page for more photos from this amazing Peru adventure! Knowmad Adventures works closely with independent-minded travelers creating innovative trips to South America. 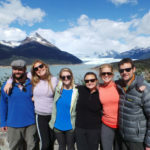 Our specialists in Patagonia, Chile, Machu Picchu, Peru, Argentina, the Galapagos Islands, Ecuador and Antarctica are eager to collaborate and create a trip as unique and authentic as you are, and our experienced South American operations team guarantees you get an insider’s perspective, superior values, and a flawlessly operated trip.